Jude Mansilla is the founder of Head-fi.org — the world’s largest online community for headphones and personal audio. He is also the founder of CanJam — real-world events in which headphone manufacturers and distributors show off their wares to the public.  CanJam now runs annually in SoCal, New York, London, Singapore, Shanghai and Denver, the latter attached to the Rocky Mountain Audio Fest (RMAF). I sat down with Mansilla just before CanJam @ RMAF 2018 kicked into life to ask him about his work as a scientific measurer of headphone performance.